Three flat mates in London begin to see how different their lives are and at the same time how similar their backgrounds. And when life begins to deal its rough cards, how easy things become when they are all together! Ali is a Pakistani chef with the dream of setting up his own nihari restaurant. Shehzad is a cool tattoo artist from Bangladesh with a broken past and Rishi is an Indian with nondescript skills and trying to hide himself from the world. They all make one mistake—that of falling in love—with the same girl. They become arch-rivals. But when their worlds turn topsy-turvy, they have no one but each other to turn to, learning that love is as much about letting go as it is about possessing. Three South Asian guys living as flatmates in England, struggles to make their life perfect. Ali, Shehzad and Rishi have their own depressing pasts to combat with. They rarely interact with each other but The India-Pakistan match is the only time when they all three sit together and cheer for their teams. They all fall for the same girl, Zeenat and the story further revolves around how each one tries to woo the girl in his own way and how they clash with each other in the process. But Zeenat's parents have different plans for her. Everyone is busy setting their lives when a tragedy occurs, uniting the trio. They get to know about their love for the same girl and leaves on Zeenat to decide who she wants to be with. The book is a light read with elements of laughter, romance, love, hate and mystery. The story is fast paced and at no moment does it seem to bore the reader. The end is unpredictable and I loved it. I would recommend this book as it is a entertaining and fun read. Pankaj Dubey is a bestselling bilingual novelist and film-maker. 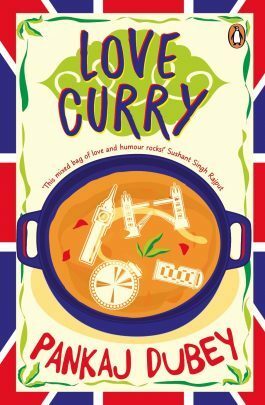 All his books Love Curry, What a Loser! and Ishqiyapa—to Hell With Love, published by Penguin Books India, have been written by him in Hindi as well. He accentuates the socio-political undercurrents with quirks and humour in his style of writing. He has been a journalist with the BBC World Service in London. He was also selected for the prestigious Writers’ Residency in the Seoul Art Space, Yeonhui, Seoul, South Korea, amongst three novelists from Asia in 2016. Aniruddhan Vasudevan (Tr.) is an award-winning translator and writer. Sounds like it will be a good read.